Urban style in downtown bothell. An Altogether Smart Way to Build. Bringing new life to a classic. Eleven Stories of Eastside Style. 350,000 Square Feet of Innovation. space for ideas and innovation. Two more award winners! 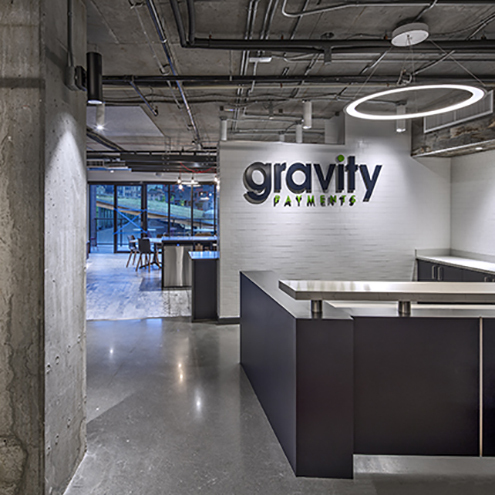 The Commons and Gravity Payments have been honored with 2018 AGC Build Washington awards. See Featured Projects for more information. W.G. Clark Construction is a Seattle-based general contracting and construction management specialist focused on commercial construction and renovation services in the Pacific Northwest. 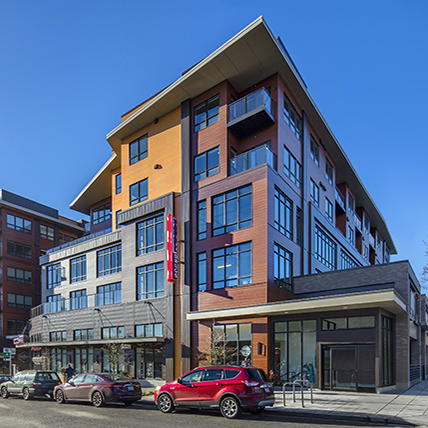 Our primary markets include multifamily, multi-unit, mixed-use, senior housing, assisted living, office, retail, civic, community, tenant improvements, healthcare, medical, and light industrial projects in the Puget Sound area. We have extensive experience constructing sustainable, green, and LEED certified buildings. As a general contractor and construction manager, W.G. Clark primarily works under negotiated contracts to provide a wide range of services. Our highly competitive cost structure, accurate pricing, creative value engineering, reliable scheduling, quality workmanship, stringent cost control, and adherence to safety allow us to successfully complete our award winning projects on time and on budget.